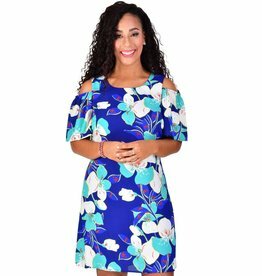 Chic delight, this cool and easy printed dress is perfect for your next garden wedding or semi-formal affair. 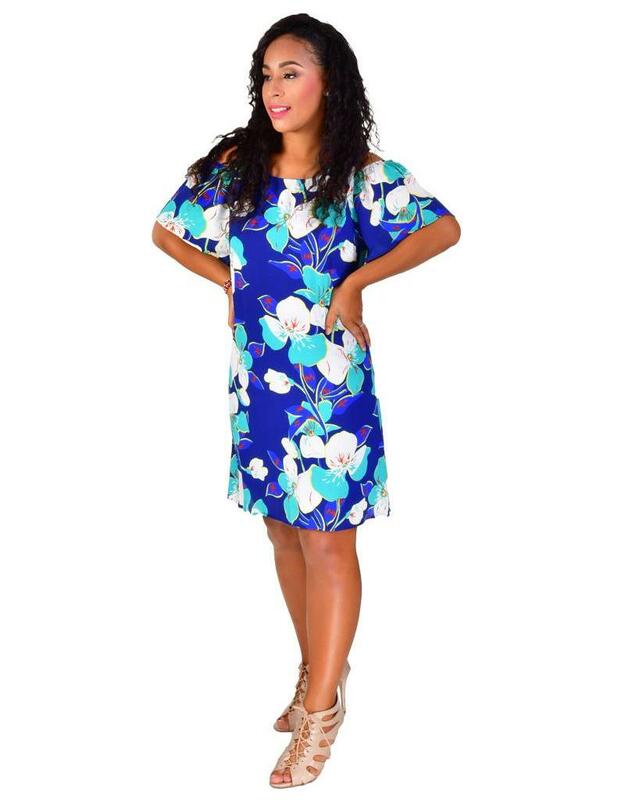 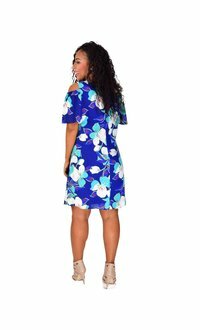 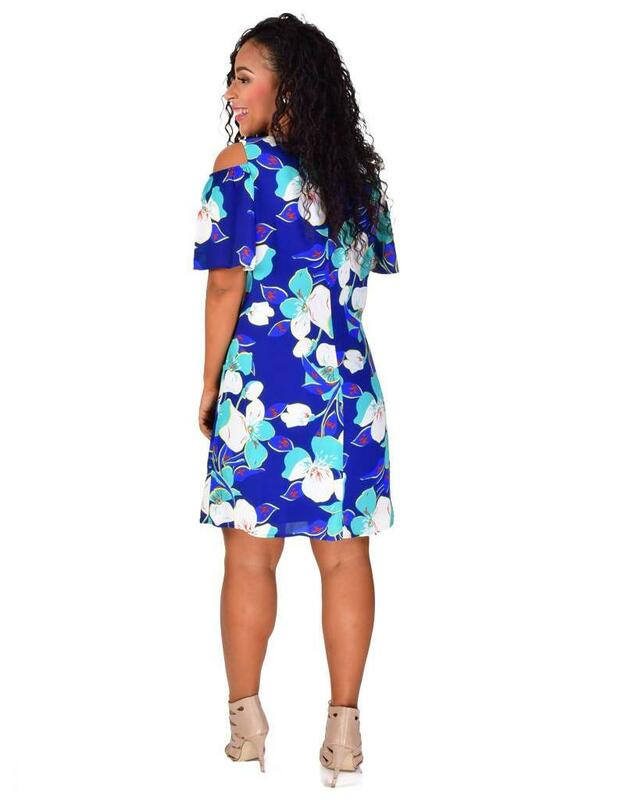 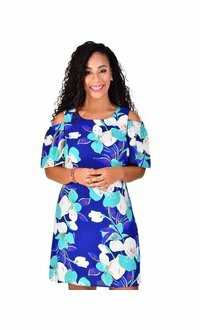 Created from this romantic floral print, the dress features a round neckline, cold shoulder cutouts, short sleeves in slightly flared cut for extra movement and a short silhouette that ends just on the knee. 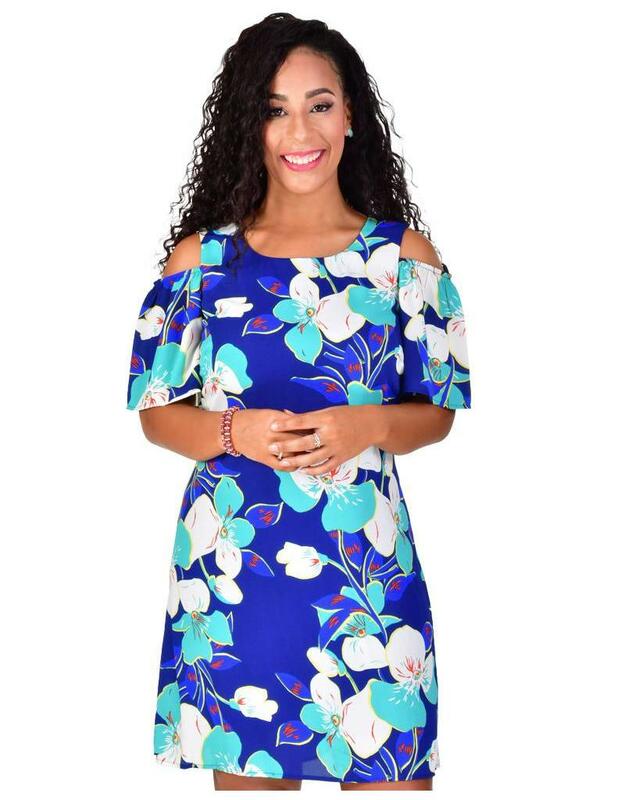 Pair this dress with a fascinator and clutch from our collection to ramp up your styling even more.